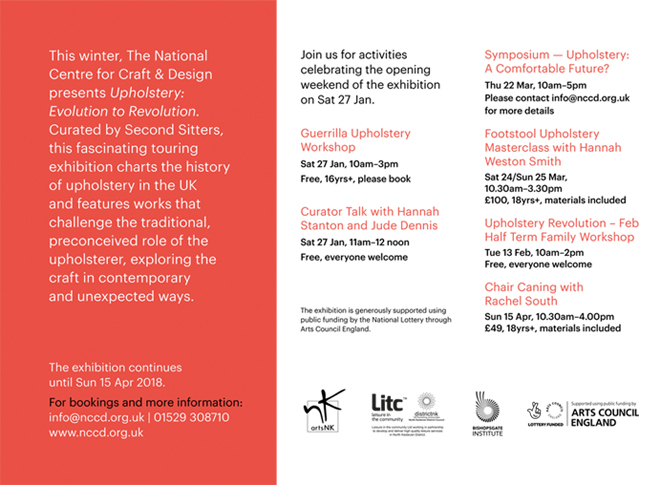 This winter, Second Sitters bring their radical touring exhibition, Upholstery: Evolution to Revolution, to the National Centre for Craft & Design. 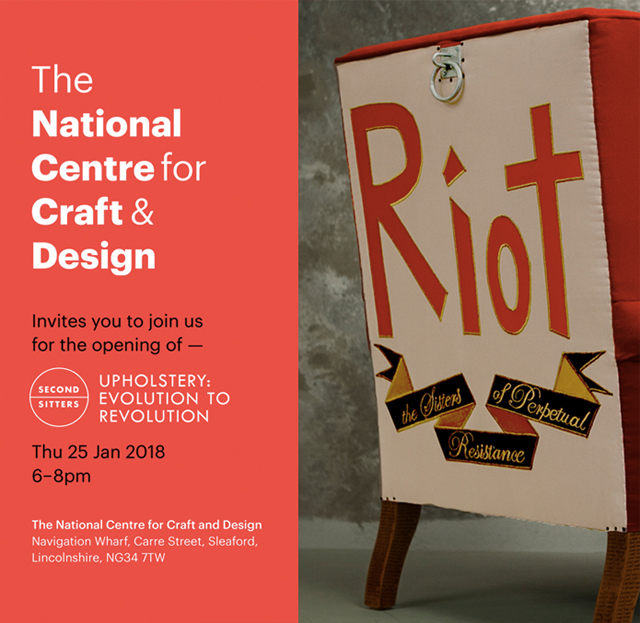 The show is a fascinating journey through the history of upholstery in the UK, featuring works that challenge the traditional, preconceived role of the upholsterer, exploring the craft in contemporary, unusual and unexpected ways. The exhibition is generously supported using public funding by the National Lottery through Arts Council England.